Growing With Nature Vegetable Club. Organic Vegetables and Organic Fruit Box Scheme formerly weekly Home delivery of organic produce to Blackpool, Wyre, Fylde, Preston. 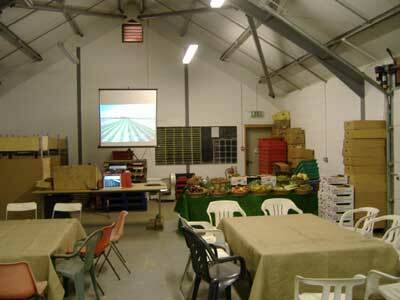 Alan Schofield owner of Growing With Nature getting ready with his talk on how he grows vegetables. The first course is almost finished at the time of writing and a second one will start in late February. Interesting stuff. Open Day - October 20th 2007 - Growing With Nature Open Day. 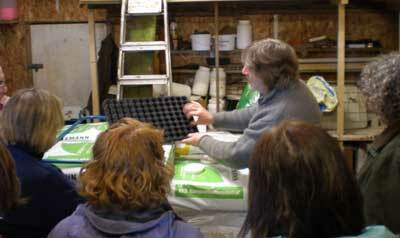 On this day Alan gave 3 trips round the site, a talk and lunch. Interesting day. Here Alan Schofield the owner tells us about his seedlings and how the weather in 2007 forced some crops under cover while some became waterlogged. Owner Alan Schofield making a point at the Open Day on 10th July 2004. 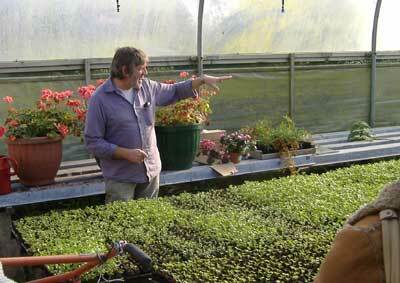 Alan is one of the longest crusaders for organic produce and the local market. He has been a prominent member of the Soil Association and been a member of many government bodies establishing regulations for organic farming. 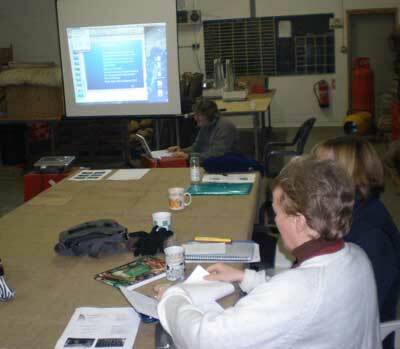 Lately he is on the steering group for the newly opened Soil Association centre at Myerscough College. 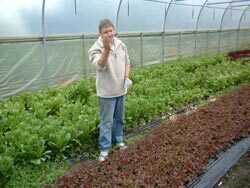 This North West Organic Centre will provide information for farmers nad growers in Lancashire, Cumbria and Cheshire and is funded by the North West Development agency. Your countryside needs you. 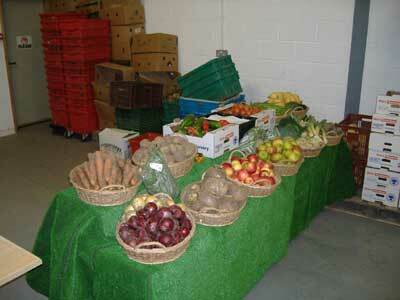 Alan will let you know all about the difficulties of Farming and running such a business. 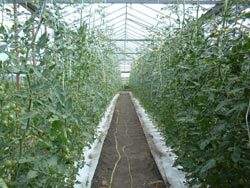 Including Government Regulations, dealing with Supermarkets, dealing with seed merchants, the need for seed. Running the box scheme and plans for the future. 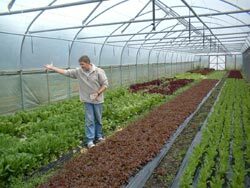 However at present he is unhappy about the latest turns in the organic world which are favouring large organisations and is going back to his roots as a crusader for the local organic farmers. Organic tomatoes. Alan will tell you about his fully organic methods. 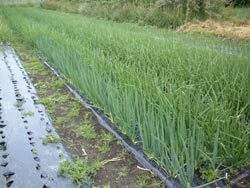 Including the crop rotation, fallow periods, green manure crops. The successful crops the poor crops.